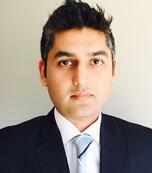 Usama Mehmood heads Professional Services and Delivery for Ultimus North America, Middle East, and Africa. In this role, he focuses on professional services strategy, customer satisfaction, and P&L for the regions. A London School of Economics alumni, Usama has held management positions with several Fortune 500 companies and has directed the delivery of services projects across the globe.